MakeMyAssignments.com is a leading online assignment help service that is a proven and trusted essay help providers and academic writing company. The company has been operating from several years and targeting the students who are seeking for assignment and homework help all around the globe. To be a leader in providing assignment help services to as many students as possible and serve them in the best possible manner. Offering them customized solutions to their problems as per their requirements and always passionately help them while keeping them as the top most priority. To be able to target as many customers as possible all around the globe and offering them the best quality services that worth their money. 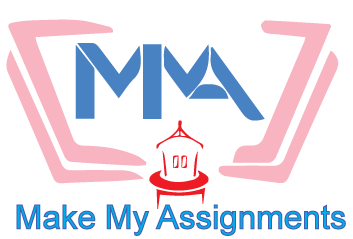 Each and every member of MakeMyAssignments.com strives to perform in an effective and efficient manner to offer customized plagiarism free assignments along with our unmatched customer service. I ordered my Marketing assignments to these guys. At the first moment I was reluctant to pay them. However, they offered me a deal to pay only a small part of the payment and they will provide me a draft of work. If I will like it, then I can order for the rest. The work was indeed amazing.